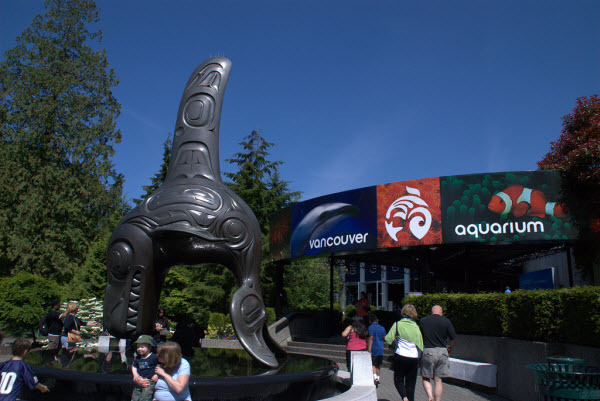 Mid-January, The Vancouver Aquarium announced the end of its captive cetacean programme, saying public debate was hindering its conservation work. What a great news! I fulfilled my dream to see wild orcas on Vancouver Island. While there, we were advised to visit the aquarium. I even glimpsed at its tanks with animals swimming in circle while flying over the city in a harbour plane. I could not understand how people could tolerate having captive specimens right next to wild ones swimming freely in the area. Knowing the aquarium is giving up its captivity programme is such a relief! While the world is making progress, France is going backwards. Towards the end of January, France’s highest administrative court overturned a ban on breeding killer whales and dolphins in captivity. The ban was imposed in May as part of the previous administration’s attempts to improve the living conditions of captive marine mammals in marine parks. The three French marine parks opposed the measure and will receive a 11 000 € compensation. Several foundations ask to meet with the Secretary of Ecological Transition, Mr Nicolas Hulot, to decide how to act after this decision. The 2017-2018 Taiji season ended on March 4th! What is Taiji? 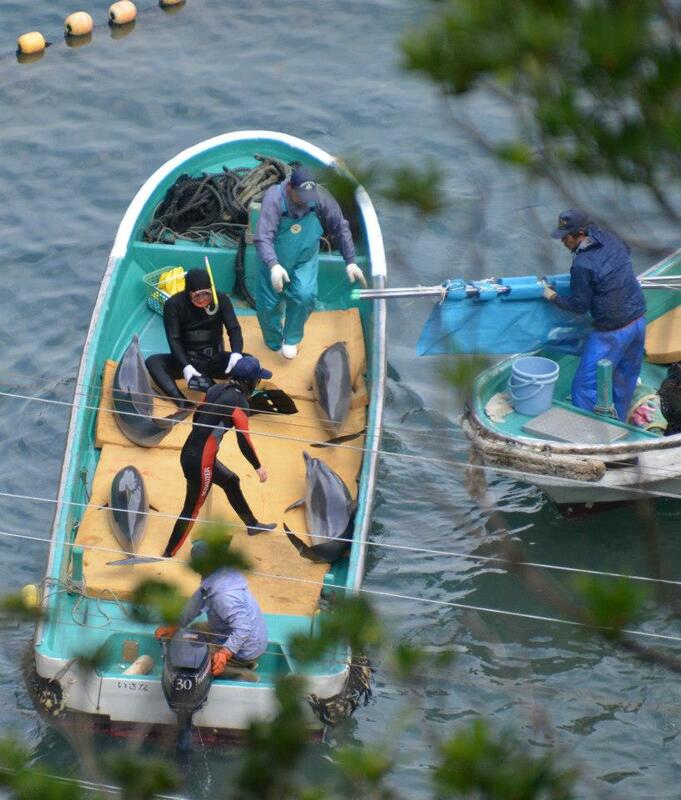 A small Japanese village where massive captures of dolphins occur to filll up marine parks worldwide. Ah, those deemed not “pretty enough” are eaten for their meat (despite its highly toxic rate of mercury). 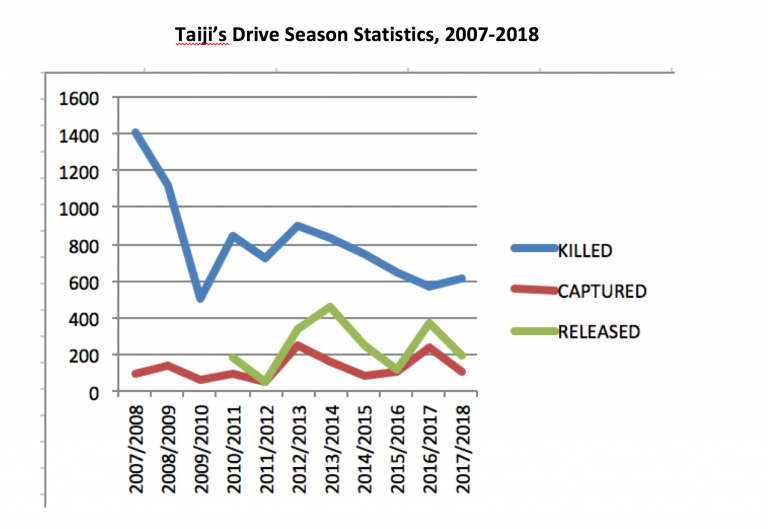 This figure does not include the untold numbers that die during the drives themselves. Often, the very sick, the young or injured are unable to keep up as the pod is being brutalized, thus, their numbers are never recorded. If you have a broken heart too by these fishery drives, you can act. Marine parks work with the law of offer and demand. As long as people keep queuing in lines, the “collection” of captive animals has to remain the same. They live considerably less than those in the wild, which is why parks regularly have to invest in new ones. Fishermen work hand in hand with trainers. It’s all linked. You’ll be sending a message to these parks if you stop visiting them.